Need a New Cooling Tower? Home > Blog > Due for a New Cooling Tower? Blog: If you’re considering a new cooling tower, contact Coolclean for information about quality Australian-made Fibreflow cooling towers. In what ways are Fibreflow cooling towers superior? A non-corrosive design, stainless steel hardware, FRP motor and fan drive supports. All component supports, basin and casing are FRP, fibreglass reinforced plastic. PVC fill pack and drift eliminators. Modular design: Every component can be easily removed and maintained. The access hatch can easily be removed and replaced by one man. Maintenance: A two person Coolclean team can remove and replace the fill pack and drift eliminators in under four hours. 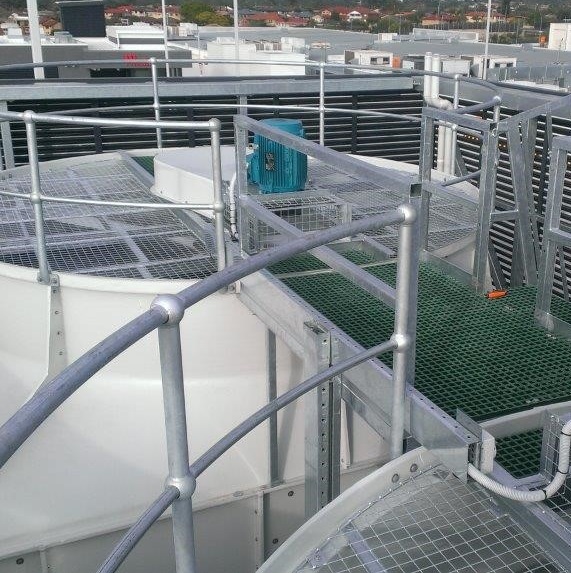 Coolclean supply and install Fibreflow cooling towers, Melbourne. Contact us to discuss your requirements.